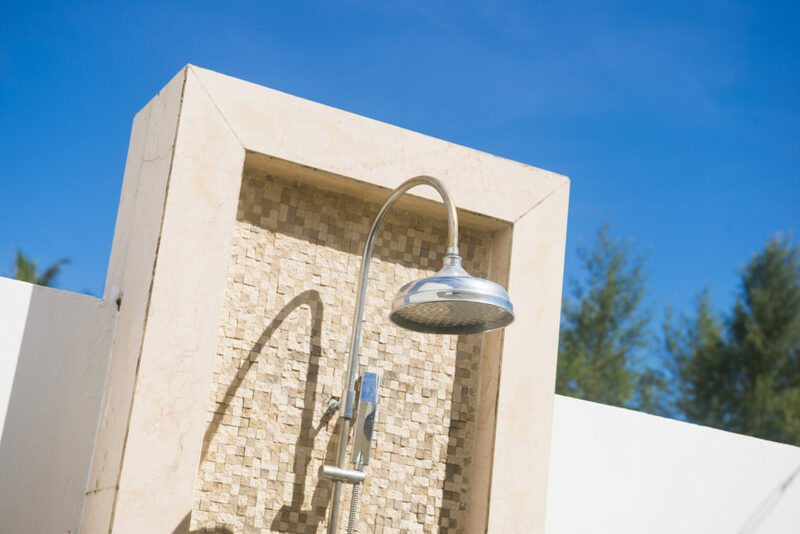 Below are 5 tips for building an outdoor shower. For an easier and less expensive outdoor addition, place your shower near pre-existing plumbing and water lines. You will likely need a professional to install the skeleton of your shower, but the rest you may be able to DIY. The best foundation for an outdoor shower is a concrete slab with a drain in the center. Choosing to nix the concrete could create a muddy mess at your feet. If you find concrete boring or unattractive, dress it up with tile, slate or river rock. You’re probably not going to feel secluded in an outdoor shower by the front lawn. Tuck your shower to the side or back of your house, and pick privacy screens or walls that blend in with your decor. In order to utilize the shower at night, you will need to provide lighting. 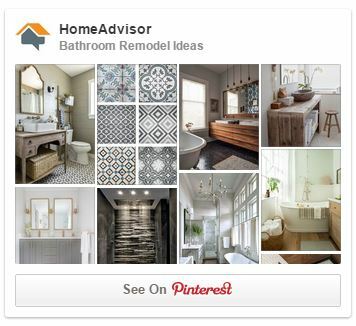 Choose the lighting style that best fits your outdoor showering needs. Do you want whimsical string lights? A soft, romantic glow? Something bright and utilitarian? Your call. Plants like orchids or climbing ivy can add a fun, wild vibe to your shower. A stone wall can give it an earthy feel, and a bright-colored wall can make things pop. Choose a design scheme for your outdoor shower and go nuts. An outdoor shower can be both functional and fashionable. Use these tips to build the best shower for your outdoor space.